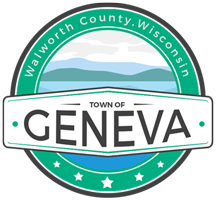 NOTICE IS HEREBY GIVEN that the Board of Review for the Town of Geneva of Walworth County shall meet BY APPOINTMENT on July 19, 2018 from 5:00 p.m. until 7:00 p.m. Pursuant to Wis. Statutes Sec. 70.47(1), the assessment roll will be available at the Town Clerk’s office during regular business hours after June 5, 2018. Pursuant to Sec. 70.45 of Wis. Statutes, the Assessor will be available on June 4, 2018 from 12:00 p.m. until 7:00 p.m. and June 5, 2018 from 9:00 a.m. until 3:00 p.m. for Open Book. All meetings will take place at the Geneva Town Hall, N3496 Como Road, Lake Geneva, WI. Call Accurate Appraisal to schedule an appointment (800) 770-3927. Call the Town Clerk to schedule an appointment (262) 248-8497 for Board of Review. No person will be allowed to appear before the Board of Review, to testify to the Board by telephone, or to contest the amount of any assessment of real or personal property if the person has refused a reasonable written request by certified mail of the Assessor to enter onto property to conduct an exterior view such property being assessed. After the first meeting of the Board of Review and before the Board’s final adjournment, no person who is scheduled to appear before the Board of Review may contact or provide informa­tion to a member of the Board about the person’s objection, except at a session of the Board. Open Book shall occur no less than 7 days prior to the Board of Review. No person may appear before the Board of Review, testify to the Board by telephone, or object to a valuation if that valuation was made by the Assessor or the Objector using the income method of valuation, unless the person supplies the Assessor with all the information about income and expenses, as specified in the Assessor’s manual under s.73.03 (2a), Wis. Stats., that the Assessor requests. The Town of Geneva has an ordinance for the confidentiality of information about income and expenses that is provided to the Assessor under this paragraph that provides exceptions for persons using information in the discharge of duties imposed by law or the duties of their office or by order of a court. The information that is provided under this paragraph, unless a court determined that it is inaccurate, is not subject to the right of inspection and copying under s.19.35(1), Wis. Stats. The Board shall hear upon oath, by telephone, all ill or disabled persons who present to the Board a letter from a physician, surgeon or osteopath that confirms their illness or disability. No other persons may testify by telephone unless the Board, in its discretion, has determined to grant a property owner’s or their representative’s request to testify under oath by telephone or written statement. No person may appear before the Board of Review, testify to the Board by telephone, or contest the amount of any assessment unless, at least 48 hours before the first meeting of the Board, or at least 48 hours before the objection is heard if the objection is allowed under s.70.47(3)(a), Wis. Stats., that person provides to the Clerk of the Board of Review notice as to whether the person will ask for the removal of a member of the Board of Review and, if so, which member, and provides a reasonable estimate of the length of time the hearing will take. Notice is hereby given this 17th day of March, 2018. Every person, firm or corporate operating a business within the Town of Geneva must file a Statement of Personal Property (Form PA-003) with the Town Assessor's Office each year on or before March 1. The Town Assessor sends a Statement of Personal Property form to each business owner that has an established account fro the preceding year. These Statements are typically mailed during the last week of December or first week of January. New business owners who do not have an existing account should contact the Town Assessor's Office to establish a new account or simply submit a Statement of Personal Property on their own by the March 1 deadline. Businesses that do not file a Statement of Personal Property with the Town of Geneva Assessor's Office shall be denied any right of abatement by the Board of Review. Completed Statement of Personal Property forms are confidential and are not available for public inspection. Property Owners seeking an exemption from property taxes must file a Property Tax Exemption Request (Form PR-230) with the local Assessor's Office of the taxation district in which the property is located. The completed form and any attachments must be filed on or before March 1 to be eligible for an exemption for the current assessment year. Wisconsin Statutes require completion of this form, in its entirety, to be eligible for exemption from the Wisconsin property tax. Failure to do so may result in denial of exemption.